A native of Texas, Chuck Mauldin has been painting in oil since the age of twelve. His interest in watercolor and pencil drawing grew during his years spent in Louisiana. With his move back to Texas, he has renewed his focus on oil painting, using this medium to portray a broad range of subject matter, in a realistic yet painterly style. Striving to quickly capture color and mood with a direct "alla prima" technique is one of his main objectives in painting outdoors on-location. Workshops with Charles Sovek, Kevin Macpherson, and many others have played a significant role in his development as an artist. 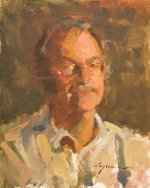 He is a member of Oil Painters of America and has achieved Signature membership status in the Louisiana Watercolor Society and the Plein Air Artists of Colorado. Chuck has won numerous awards and has had work accepted into prestigious national juried competitions, such as the Oil Painters of America Western Regional Show (2016) and Salon Show (2016). After 28 years in Louisiana, Chuck and his wife, Barbara, moved to Fredericksburg, Texas, in 2005, in order to pursue their passion for art on a full-time basis. In 2008, Chuck started teaching a beginner’s oil painting class and later intermediate classes in composition, landscape painting, and limited palettes. 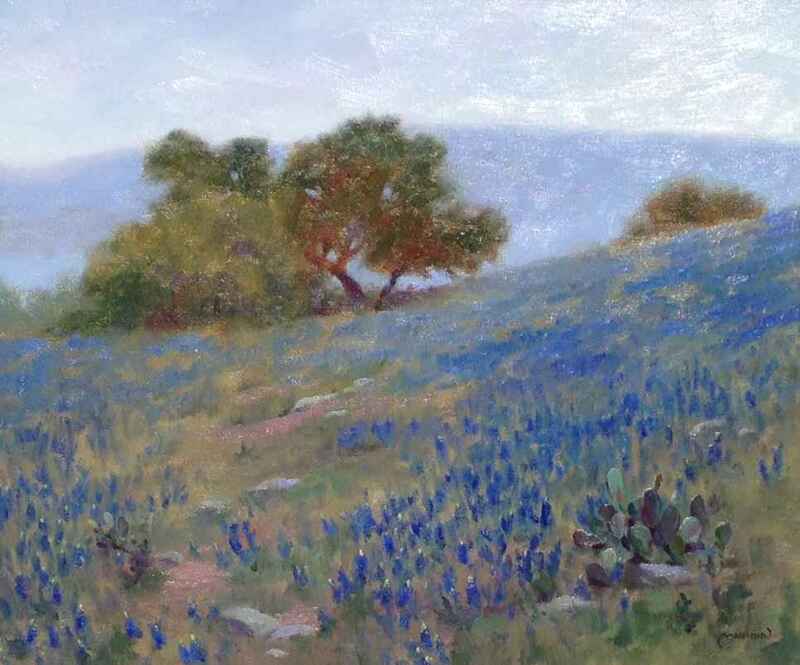 He is represented by R. S. Hanna Gallery in Fredericksburg, Texas. His work is also displayed at Lee-Bunch Studio Gallery, Del Rio, TX and Brookwood Gallery, Brookshire, TX. Degrees in chemistry from Southern Methodist University (B.S.) and the University of Texas (PhD) led to Chuck's career in research at ExxonMobil Process Research Labs in Baton Rouge, Louisiana. He presently holds 57 U.S. patents in the field of catalysis. He and Barbara have two sons and a daughter, and 8 perfect grandchildren. An Eagle Scout, Chuck served as a Scout leader for seventeen years.